Our nurse-led tissue viability service provides advice and support to nursing and healthcare professionals, aiming to develop and improve practice and raise the quality and standards of care in Tissue Viability for hospital inpatients. Referrals are made for patients within the hospital environment, requiring support with a complex wound or pressure ulcer and will be seen and assessed by a Tissue Viability nurse and have a care plan provided. The team review all the referrals on a daily basis (Monday to Friday) and review patients on Wards and in Clinic settings (although there is not a designated Tissue Viability clinic). The Tissue Viability Clinical Nurse Specialist also sees patients in the nurse led clinic in the Diabetes Foot clinic. Patients are assessed and reviewed as required. The Community Tissue Viability team is available for patients not admitted to hospital and contact information can be obtained via community nurses. 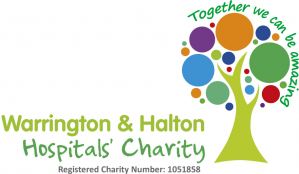 There are 3 Tissue Viability nurses over the three hospital sites Warrington, Halton and the Cheshire and Merseyside Treatment Centre (CMTC). The Tissue Viability nurses provide regular training on pressure ulcer prevention. This training is delivered twice monthly and is also available via e-learning. The Tissue Viability team have a network of Tissue Viability link nurses who attend regular link nurse study days and act as a Tissue Viability champion on their ward or area of work. The Tissue viability team are part of the Registered Nurse with a Specialist Interest (RNSI) initiative - this involves a nurse from a ward or department working alongside the Tissue Viability team for a 12 month period. The RNSI will gain valuable knowledge and experience in Tissue Viability, which they can share with their colleagues. The Tissue Viability nurses provide ' on the ward' training at the bedside on a daily basis. A pressure ulcer prevention campaign that is committed to educating as many people as possible about the dangers of pressure ulcers and the simple steps that can be taken to avoid them. The European pressure advisory panel invites you to take part in next year's Stop Pressure Ulcers to help bring pressure ulcers to a wider audience. In 2019 there will be a Stop Pressure Ulcers to be held on November 21st 2019.